It's Creepy! It's Ghoulish! It's a Scream! 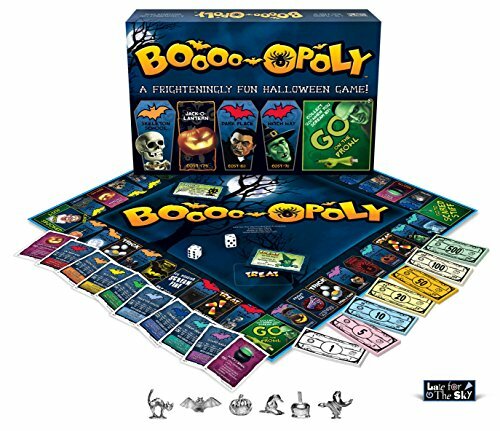 Boooo-opoly is a classic property trading game made for celebrating Halloween. Players buy favorite Halloween properties, collect Haunted Houses and trade them in for Full Moons. Sounds easy enough, but add Fright Fees, Bats in your Belfry, or get caught soaping windows and it becomes a little more difficult and a lot more fun! You may win the Jack-o-lantern carving contest or you may end up eating Slimy Spider Tacos at the Monster Mash! The monsters of myth and legend have come to life inside the Monster Mansion, and you are cordially invited for the adventure of a lifetime! 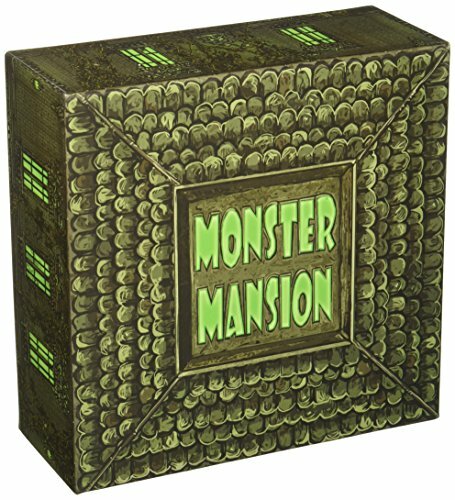 Monster Mansion is a fast-playing, casual tile-laying game in which players with hidden identities cooperate to escape a haunted house in real time or they all may lose. Players rave about how they can fight so many monsters, including Vampires, Zombies, Mummies, Demons, Robots and Aliens, all in one sitting! And every victory earns gold that can be used to purchase powerful items. Putting together a jigsaw puzzle is an activity that is both fun and educational for kids. All of our signature jigsaw puzzles are made in the United States with recycled materials. Fully interlocking and randomly shaped pieces make for a pleasant puzzle building experience. Each jigsaw puzzle is produced on thick, quality board. 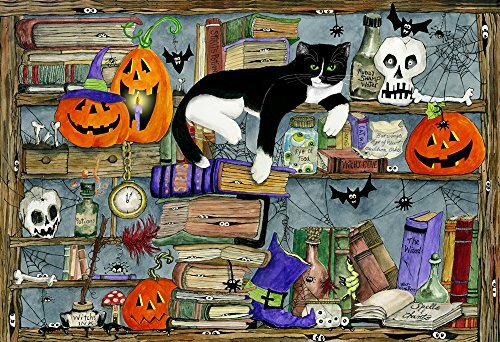 This puzzle includes 100 pieces and measures 19"x13" when completed. Artwork by Jacki Frerichs. 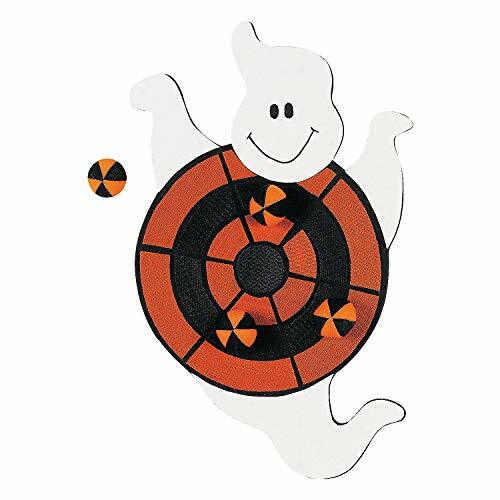 Use your team of ghosts to haunt costumed trick-or-treaters as they pass. Scare them a little and you get their treats! But scare the kids too much, and they run away – that means less candy for you! Oh, and pay attention to the kids’ unique powers; each one is themed to their Halloween costume. The phantom with the most sweet loot is the winner! 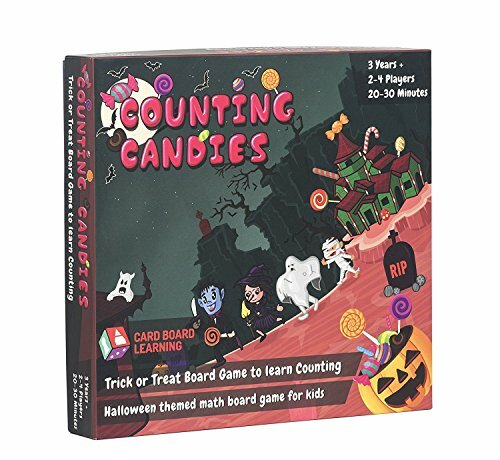 Counting Board Game for Kids - Counting Candies STEM Gift for Kids 4 Years and Above. A fun filled math board game that can be most enjoyed by kids. Introduces counting and addition to kids through an activity they love, Trick or Treat! 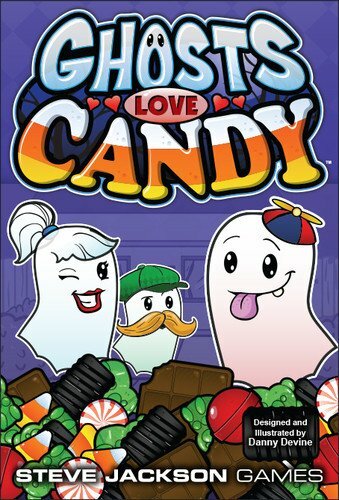 How The Game Works: Players go from house to house in a street collecting candy on Halloween. There are 12 houses and 3 types of candy (each 25). Each house will have 4 cards on it (if 4 players are playing) for players to collect. Players will take candies from the box according to the number of candies on their respective cards. Skills covered: Counting till 10 Counting till 20 Adding numbers till 10 Adding numbers till 20 Number Sequence Number Names Concept of Zero Components: 1 Game Board 4 Game Markers (Plastic Pumpkin Toys) 1 Rule Book A Deck of Candy Cards 75 Candy Tiles (3 types of candies x 25) About CARD BOARD LEARNING: Card Board Learning is a company working towards introducing important educational and life skills through tabletop games. Our products are widely used in STEM homeschooling and as educational gifts. We are currently developing best possible board games on coding and math for kids. 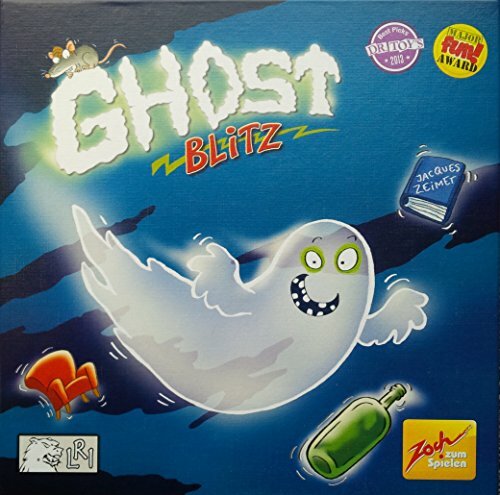 Hey there, in this very first Fast Five, we go over the top 5 kids Halloween board games. 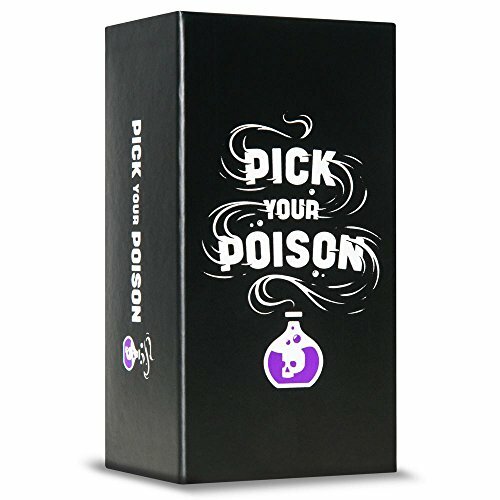 Add some Halloween "bite" to your family game nights.